Holme, C., & Kendrick, A. 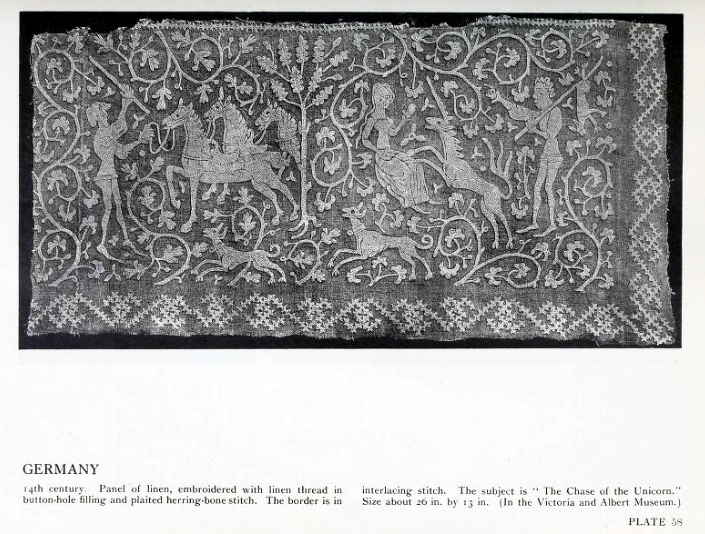 (1921) A book of old embroidery, London, New York: The Studio. 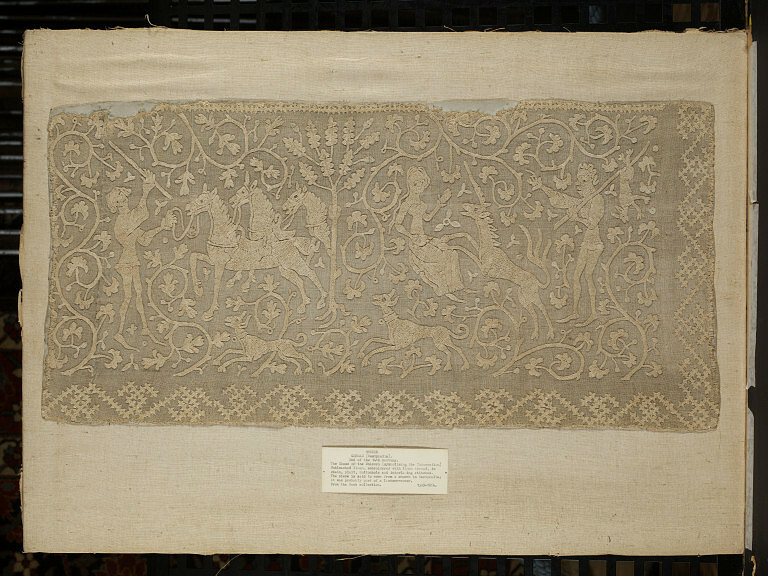 This book is a collection of embroidered pieces, some of them from the Victoria and Albert Museum. It focuses on different countries and different historical periods. What I like about this book is that it contains some images that I haven't seen elsewhere. 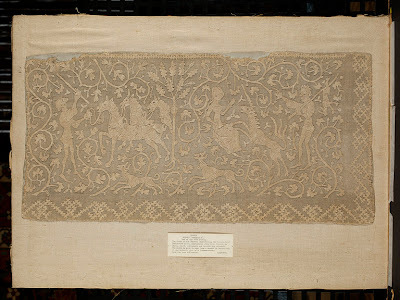 When it comes to Medieval embroidery, some pieces keep popping up over and over again, so it's really nice to see something “fresh”. image taken from Holme, C., & Kendrick, A. 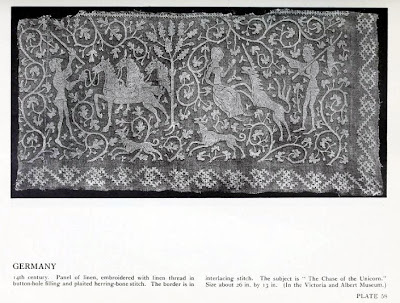 (1921) A book of old embroidery, London, New York: The Studio. note: kbsalazar pointed out in the comments section that you can find this piece in the V&A on-line database here. Thanks for sharing!